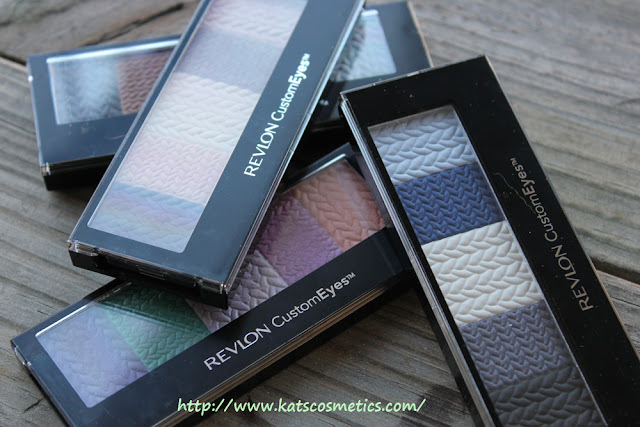 Quick swatches of all the Revlon CustomEyes Palette I own. I only bought one, the rest of them are purchased by my husband. Every time I got mad at him during the night time, he always went out buy me makeup LOL. They are about $6-$7 depends on where you buy them. I love the patterns on them. All the colors apply smoothly except the forth one. The second color and the fifth color look really similar. All the colors are not super pigmented but they all have a washed-off color payoff. This is the least chalky palette out of the four. 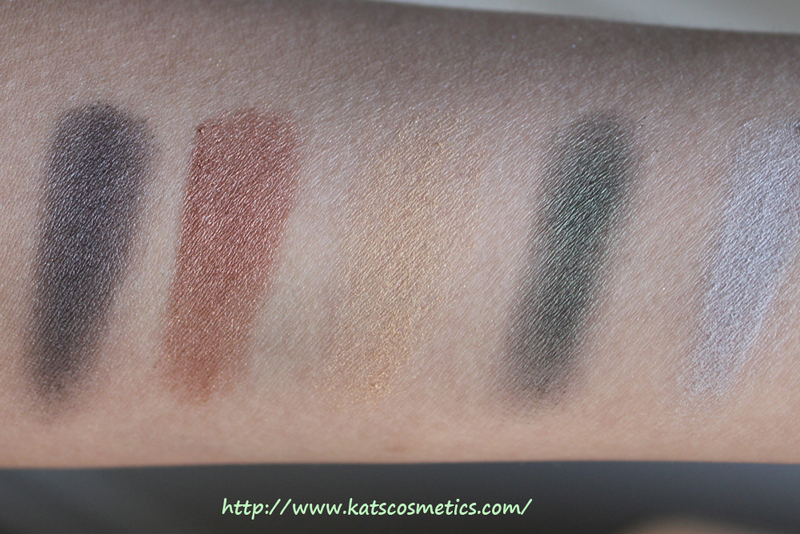 They are not too metallic, but they are shimmery and have great color payoff... for drugstore shadows. 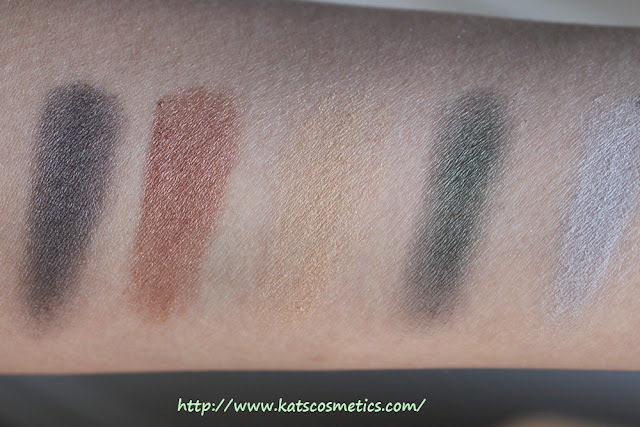 This palette is not really pigmented but I think you can definitely build them up! Overall they are ok. 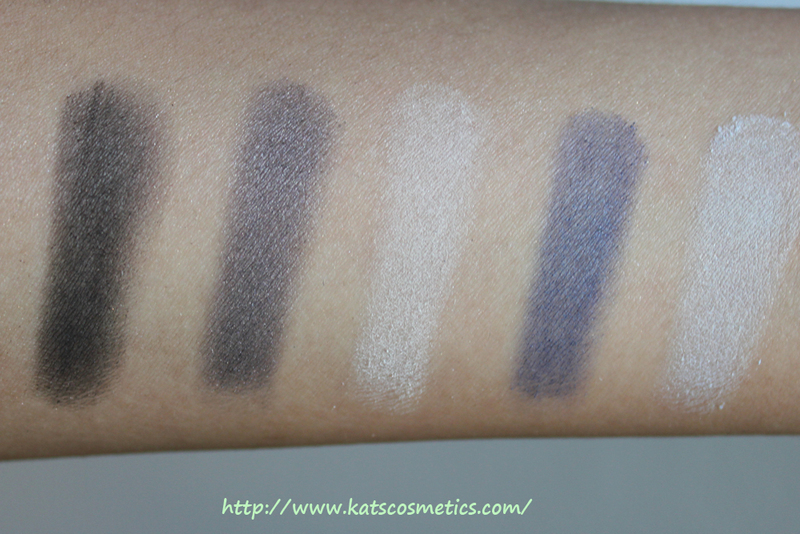 Most of them are not super pigmented but they are creamy and go on smoothly. 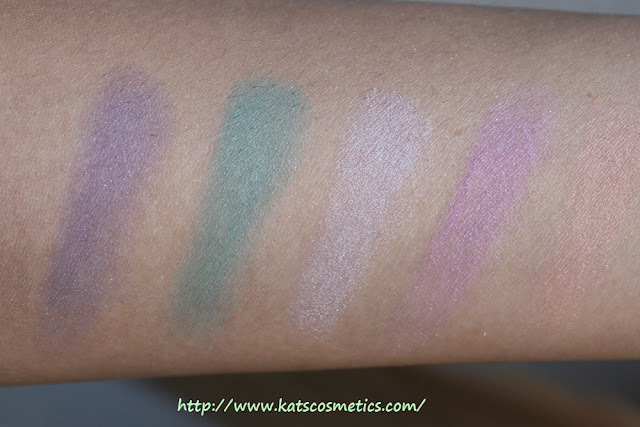 Each palette comes with a sponge applicator. It works just fine. 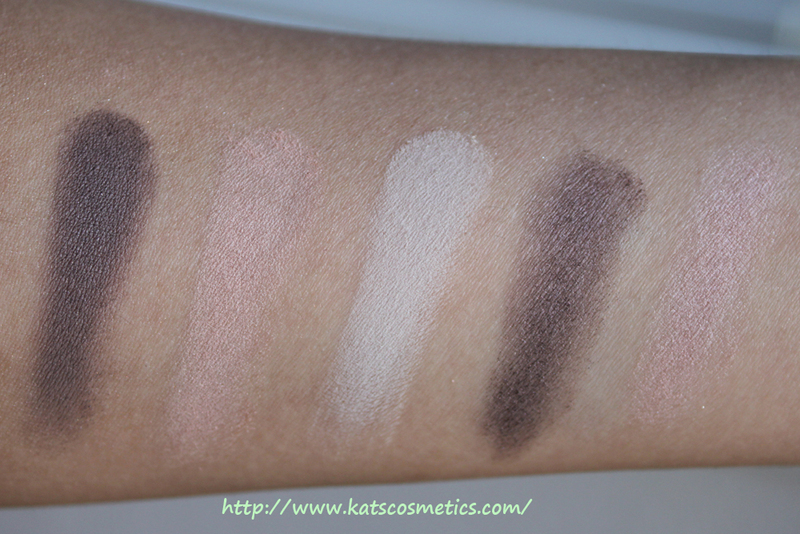 They blend really easy and they remove really easy, too. It does fade a little bit during the day but if you use a primer it won't be that bad. Actually the pay off is really similar with some of the Asian shadows. I think it just depends on what kind of payoff you want.